This extremely-slim, precision-crafted aluminum laptop with a slim border show goes everywhere, and looks exquisite doing it. an optionally available ultra-brilliant show adapts to any environment, for an most advantageous viewing revel in anyplace you figure.calls sound crisp and clear with advanced collaboration features like hp noise cancellation. loud top-firing audio system produce rich sound. the world-dealing with 1/3 microphone and collaboration keys assist make pc calls effective. Disclaimer : HP Elitebook 840 G5 Core i5 8th Generation Laptop 4GB RAM 256GB SSD price in Pakistan is updated on daily basis and rate/price for HP Elitebook 840 G5 Core i5 8th Generation Laptop 4GB RAM 256GB SSD is valid for all cities of Pakistan included Islamabad, Rawalpindi, Lahore, Karachi, Faisalabad, Peshawar, Sialkot, Quetta etc. 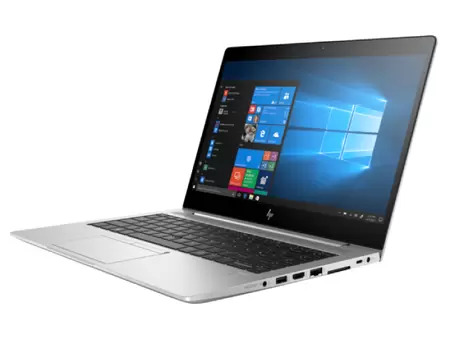 HP Elitebook 840 G5 Core i5 8th Generation Laptop 4GB RAM 256GB SSD price depends on many factors thats include the price of dollors, manufacturar price and import cost and duties etc. Our team entered specs from diffrent resources and not responsible for any typo error in specs for HP Elitebook 840 G5 Core i5 8th Generation Laptop 4GB RAM 256GB SSD, please report any such error in bug report panel for HP Elitebook 840 G5 Core i5 8th Generation Laptop 4GB RAM 256GB SSD. HP Elitebook 840 G5 Core i5 8th Generation Laptop 4GB RAM 256GB SSD price in Pakistan.